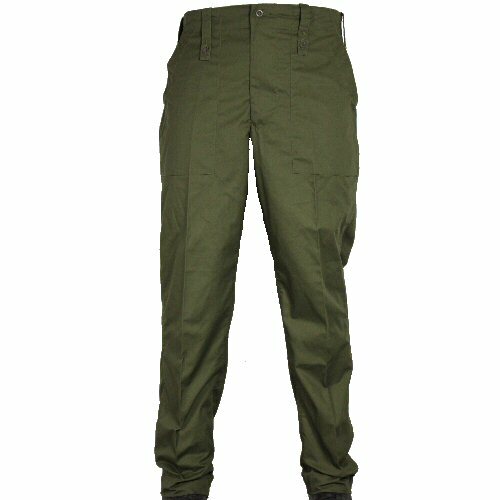 Original issue British Army lightweight trousers in olive green. 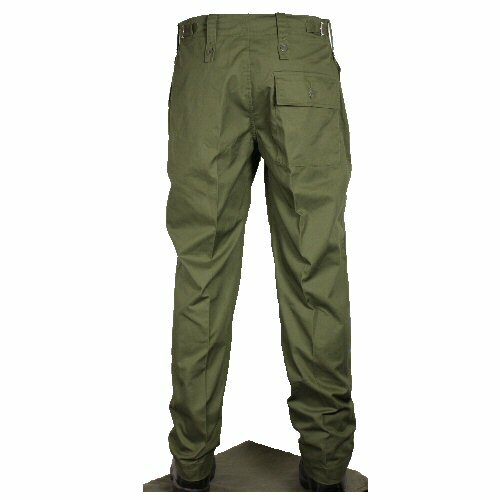 The trousers are made of poly-cotton twill and feature two hip pockets and one seat pocket. Some also have a cargo leg pocket on the left. Extra wide button down belt loops can accept 2 inch duty belts, and the waist can be brought in with side adjustment tabs left and right. 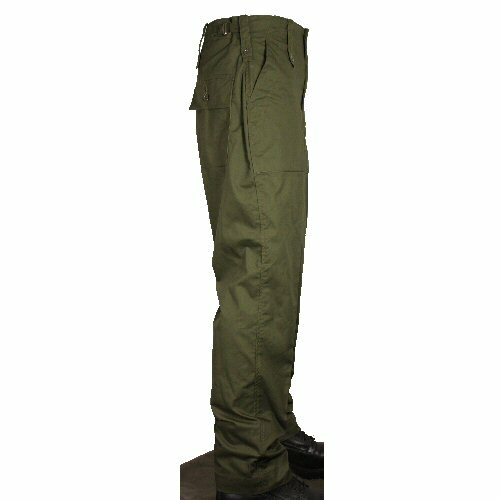 Sturdy, quality construction as would be expected from genuine military fatigue trousers, the olive green lightweight trousers are a classic for many types of leisure and work activity. Can be worn in conjuction with a S95 DPM jacket as a work dress for non-combat, e.g. medical support, duty. Available options are: 28S , 31S , 31R , 31L , 33S , 33R , 33L , 34S , 34R , 34L , 34XL , 36S , 36R , 36L , 36XL , 38S , 38R , 38L , 38XL , 39R , 39L , 39XL , 41R , 41L , 42R , 42L , 42XL , 44R , 44XL . Side view of trousers showing the side adjustment tabs, and long button down belt loops. 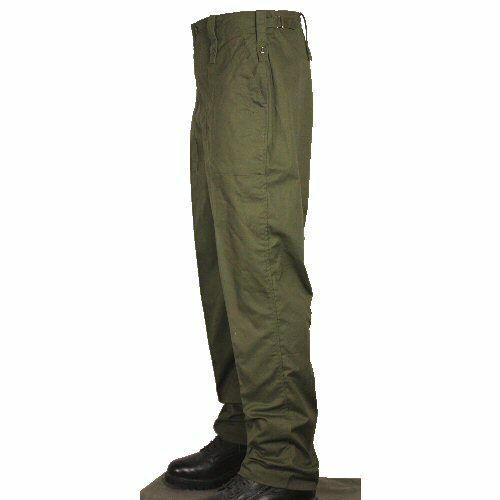 Right side of trousers, showing the rear pocket, side adjustment tabs and hip pocket. Rear view of the trousers showing the pocket and seat.